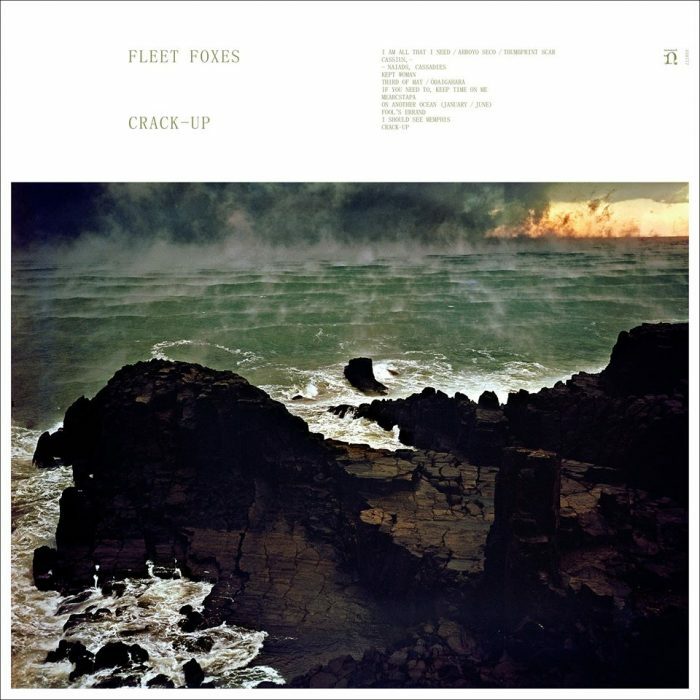 We currently know 27 reviews for "Crack-Up" by Fleet Foxes. The album received pretty solid reviews among the critics and is one of the better ones this year. "With their self-titled debut, Fleet Foxes have attained this and have delivered one of the best albums of the year." "A stunning debut then, and one that will make Fleet Foxes one of the most sought after bands of the year." "It all adds up to a landmark in American music, an instant classic." "Hushed and wistful, Foxes evokes the itinerant days of yore...you know, before gas cost four bucks a gallon." "They deliver on [Sun Giant EP's] five-song teaser's promise and then some with their first full-length, a self-titled gem that already seems set to wind up near the top of any right-thinking person's year-end list." "What follows is surprisingly full and wide ranging, almost as much as the Bruegel painting that graces the album's cover." "Ironically, though defined sartorially and sonically by this short window in history, the songs on their debut album are mostly timeless. Few better will be released in 2008." "Impressive full length debut from enchanting Seattle-ites." "A number of contemporary indie bands attempts to strip-mine mountain ballads in the service of indie pop, but none has melded the impulses as effortlessly and captivatingly as Fleet Foxes manage on "Blue Ridge Mountains" and "Oliver James." Sublime." "Helplessness Blues is one of the few things reminding me that behind the liquor stores and condominiums is a little freedom and a lot of hope." "The wilderness goes from breathtaking to sort of boring after a while, but the overall effect is as refreshing as country air." "Throughout the album, the band sounds wise beyond its years, so it's not really that surprising that Fleet Foxes is such a satisfying, self-assured debut." "That Fleet Foxes have crafted such a sublime debut less than two years into their existence as a band speaks to their collective pop genius ." "A lower-dosage Animal Collective, the Foxes stuff their free-form songs with rich, swirling melodies; billowing clouds of organs, tom-toms, bells and assorted stringed instruments cloak group vocals whose secular-gospel, suede-fringed precision owes plenty to Crosby, Stills and Nash." "At its best, Fleet Foxes is warm and cathartic, with all the hopefulness of a balmy summer night." "Pecknold and guitarist Skyler Skjelset have been writing teenage symphonies to God since they were actual teenagers, and that transcendent love of music shines through in their own songs." "Like the equally rapturous "Sun Giant" EP which preceded it, Fleet Foxes' debut album is a fastidious, sometimes overwhelmingly pretty evocation of the American wilderness; a dreamy companion piece to last month's superb Bon Iver album." "One of the most valuable qualities of good music is its ability to transport you to a moment in your past, a place you'll never see or somewhere that doesn't even exist. Thanks to their gloriously retro (and occasionally eerie) three-part harmonies, Seattle's Fleet Foxes accomplish all the above with their self-titled debut." "Fleet Foxes doesn't leave the stereo. Three, four, five times through-–these songs resonate over and over until they stick for good. A sign of a great record: words fail but a feeling remains." "As with many releases like this, I wish the ride were just a little bit more bumpy just to throw off expectations, but nonetheless Fleet Foxes have put out quite an enjoyable little debut here." "At times, it sounds as though the band was still working through exactly how they wanted all of the various elements to work together, such that there are some immediate, hook-filled songs ("White Winter Hymnal," "Your Protector," "He Doesn't Know Why") and other songs whose more complex structures require more from the listener." "Although there is much to like about the album, it can be difficult to differentiate one from another." "You have to wade through a lot of plaid-shirted, porch-rocking psychedelia before you get there. The patient pilgrim, though, can look forward to unearthing the widescreen Laurel Canyon-birthed wonder of 'Your Protectors' after one or two plays." "None of the album rocks, or gets particularly rootsy. [July 2008, p.72]"
"Fleet Foxes is certainly a very good record, but it is kept from greatness by its failure to capture the communal feeling of its excellent, buzz-building live shows." "There's a huge promise to Fleet Foxes, one that can't be ignored, but Pecknold and the rest of the guys haven't tapped into it yet." Fleet Foxes have just announced a new album called "Crack-Up" for a June release. Listen to the first 9 minute long track Third of May / Ōdaigahara right here!